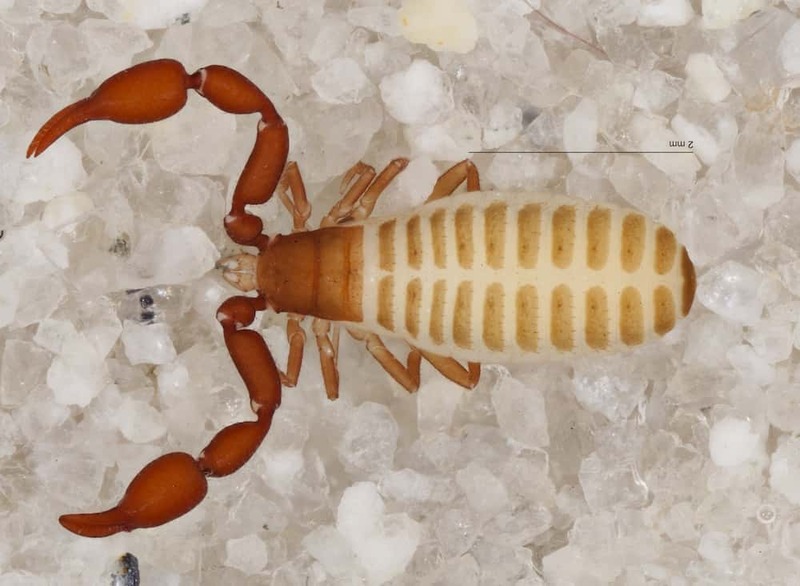 Two New Scorpion Species Discovered first by scientists in the year 2005. After years of research they have released information telling us that they are indeed new species. Unlike common scorpions these 'Pseudoscorpions' do not have a tail with a stinger. Instead this species have stingers in their pincers. They are very venomous and use the stingers to immobilize their prey. 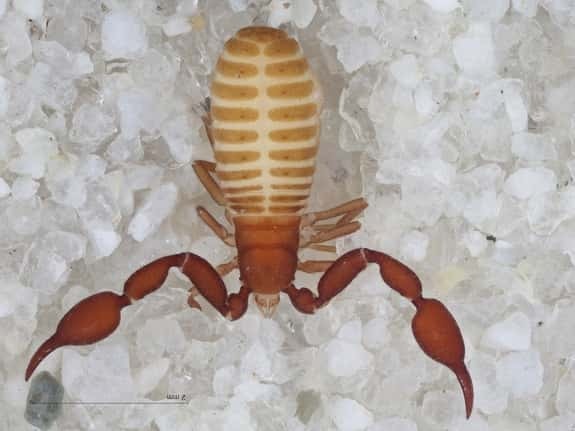 Scientist have discovered two new species of scorpion in the same location. They were found in the Grand Canyon National park. They were found in a cave and interestingly they have no eyes. Scientists say this is how the creatures adapted to living in an environment where there is no light. The scorpions are only 3mm in length.